The Big Game is coming up and it’s all eyes on the television. Whether you’re a die-hard football fan or you prefer to watch the ads, you may wonder how to make your TV work with your room after the last whistle blows. Make the TV part of a wall gallery. 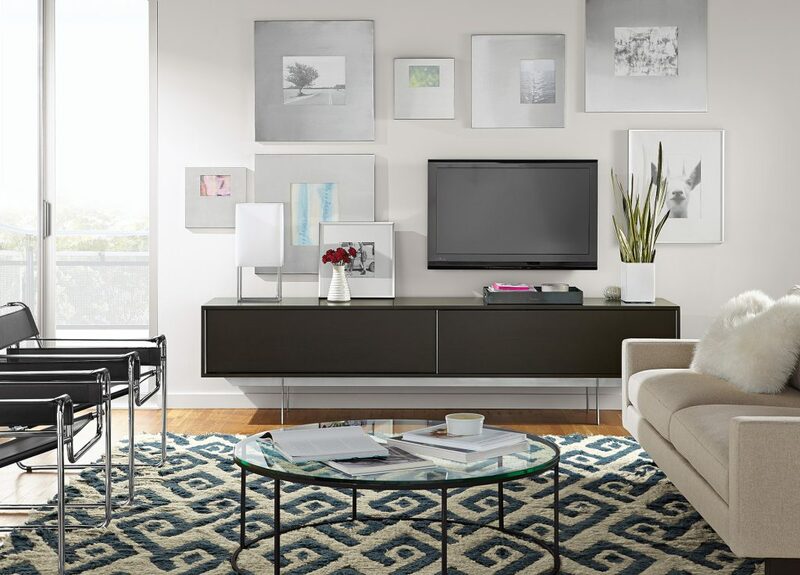 Mount your flatscreen and surround it with frames that have a common theme as shown in the photo above. The television becomes part of the art. 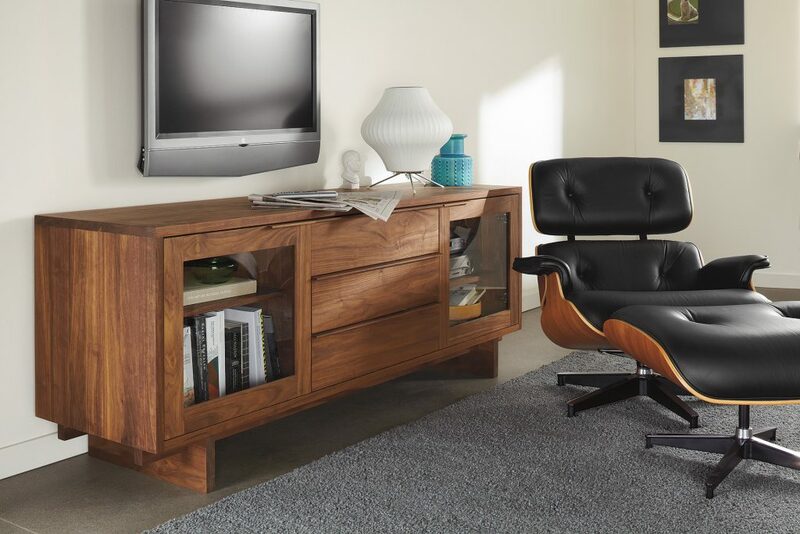 A modern media center holds large televisions while giving you plenty of storage for books, favorite objects and extra batteries for the remote. Placing a media cabinet beneath a wall-mounted TV adds a grounding effect. You can also store extra components, like an Apple TV, on the shelves to keep them out of view.